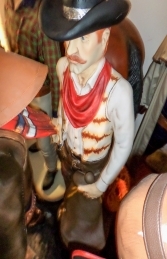 This Cowboy Figure with Menu Black-board is great for promoting a Wild-West themed menu or attracting attention to a Cowboy themed play area or business. 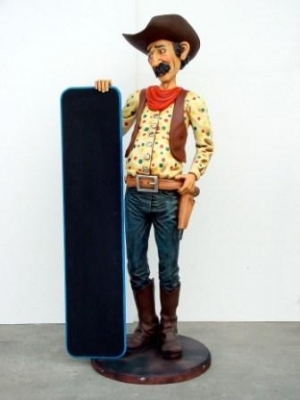 This friendly Cowboy character with Menu black-board is ideal to use to promote a Wild-West related business. 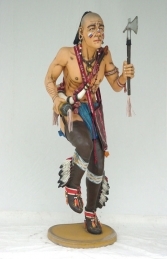 NB -DELIVERY - Please note that the delivery price quoted through the website ordering system is based on delivery costs when the ordered item is sent via a pallet-line service. Wherever possible we try to personally deliver large items to your door when we can combine deliveries in an area; this does require flexibility for delivery date. Delivery charges on orders for multiple items will of course be discounted accordingly.